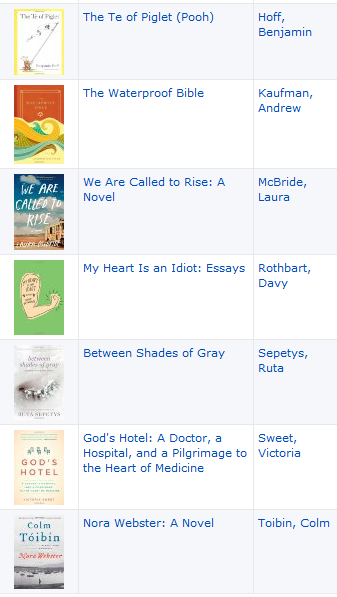 I have officially entered the Official 2015 TBR Pile Challenge. 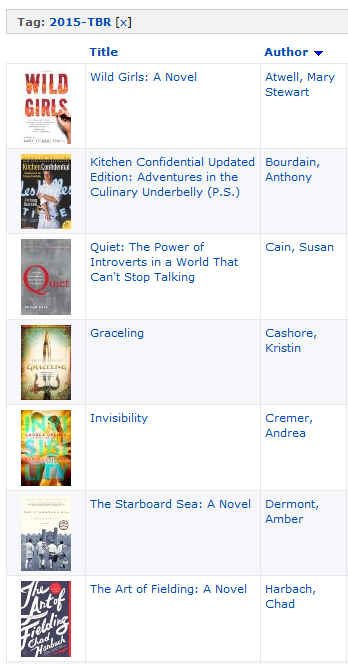 I’ve tagged twelve of the titles on my TBR shelf (plus two books I don’t own but have been meaning to read, The Art of Fielding by Chad Harbach and Graceling by Kristin Cashore) with “2015-TBR” in LibraryThing. Thanks to Linda at Three Good Rats for the nudge to join the official challenge. I hope to read even more books from my TBR shelf this year, but this challenge is a good start. I do like checking things off a list…not that books should ever be reduced to mere list items.